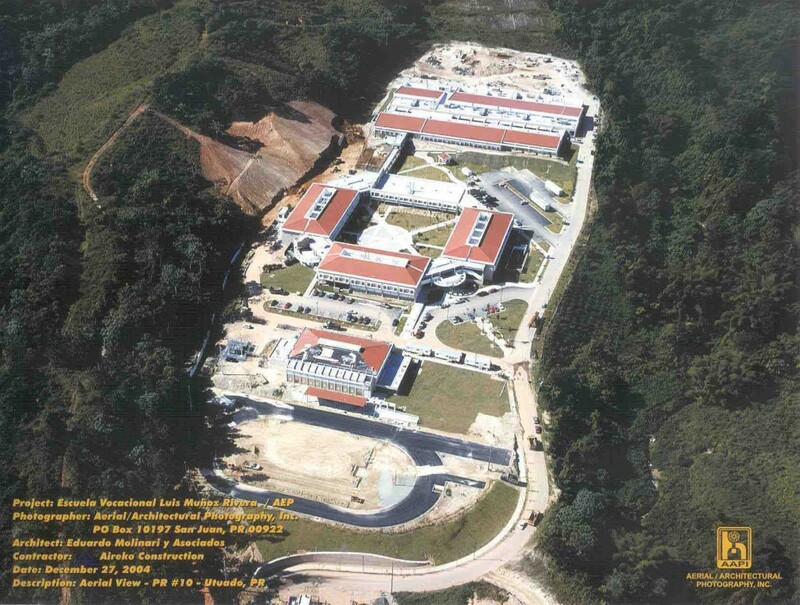 An extensive campus built in PR’s central mountain range that required extensive earth work and civil works prior to starting building construction to effectively accommodate the seven structures in the contoured topography. The school complex totals 370,000 sq. 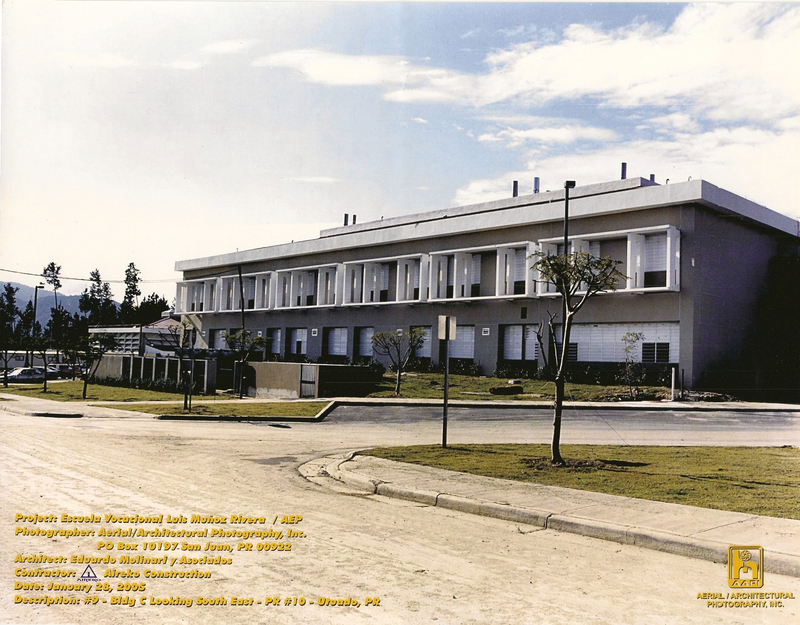 ft. and includes four two-story buildings for classrooms and administration, one building for vocational workshops, a covered gym, laboratories, cafeteria, and a library. Site work included track and field, parking area and storm sewer with retention pond, as well as an emergency generator.